The J.M. 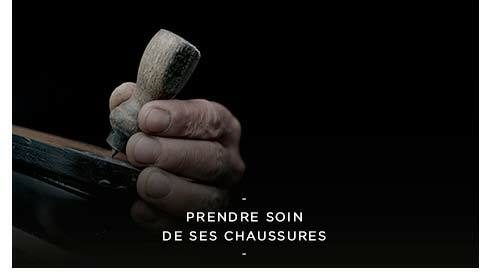 Weston Foundation was established in 2011 through the initiative of Christopher Descours, who wanted to demonstrate the active commitment of the EPI group, which he chairs, to the promotion of manual craft and the transfer of exceptional craftsmanship in France. The Foundation has fostered a special partnership with the Association des Compagnons du Devoir et du Tour de France, giving rise to a number of actions which are being realized in 2017 through the funding of the “Défi Innover Ensemble”, the J.M. 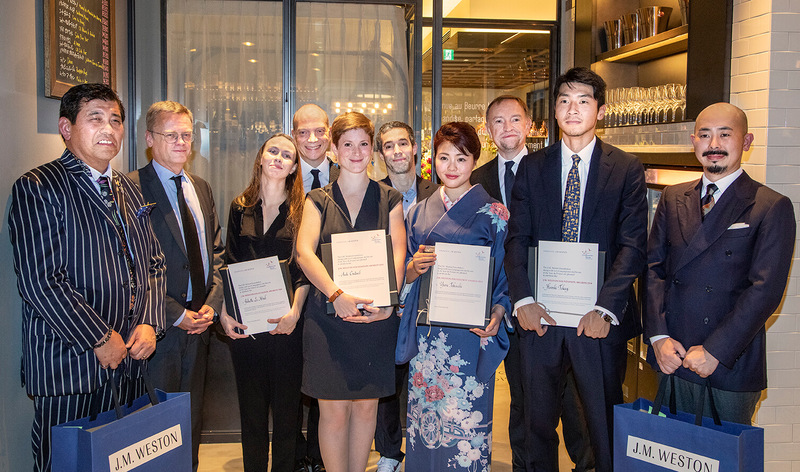 Weston Foundation Awards’ Franco-Japanese exchange, and a partnership with l’EnsAD. 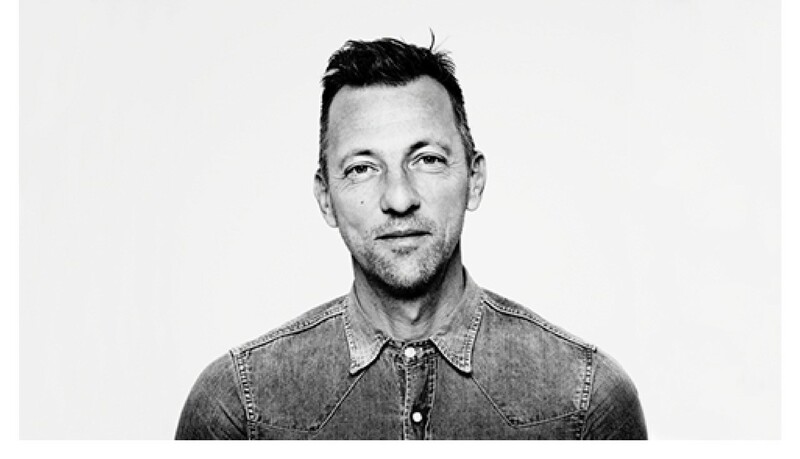 The Foundation has been chaired by Christian Blanckaert since 2016. Christopher Descours, President of J.M. Weston. 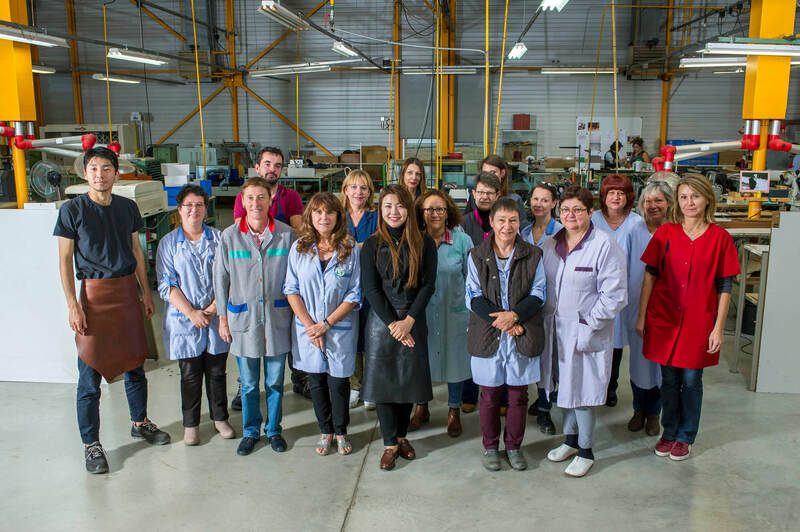 The state–approved organisation of craftsmen and artisans called the Association Ouvrière des Compagnons du Devoir et du Tour de France brings together professional men and women mobilised to promote the same professional ideal. The Compagnons du Devoir undertake programs to provide information, career guidance and forward planning on skilled manual professions. 10,000 young people are trained in the framework of post–secondary work and training programmes during their Tour de France apprenticeship (which of course has nothing to do with the celebrated race!). With 27 professions, the Compagnons du Devoir et du Tour de France are active in four main sectors: construction, industry, soft materials and baking–pastry making. The Compagnon organisation is inscribed on the UNESCO representative list of the world Intangible Cultural Heritage. J.M. Weston wishes to offer young people the same opportunity for professional discovery and enrichment that was given to Eugène Blanchard, the son of the founder of the Manufacture de Limoges, who travelled to Weston in the United States in 1904 to complete his apprenticeship. 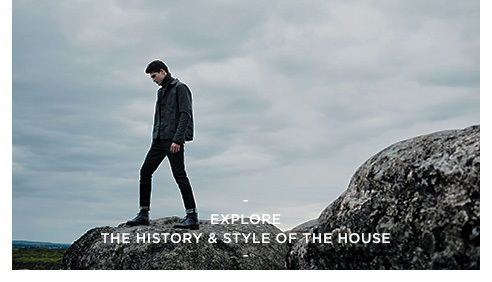 There he learned the emerging technique of the Goodyear welt, which was to become a few years later the emblematic welt of J.M. Weston. So this project consists of promoting among young people a professional, human and cultural experience outside of France, accompanying them in their travel project and obtaining recognition for their international experience and the skills acquired. It has two facets : raising awareness among young people and encouraging them to open up to their professional world at international level during a field trip lasting one month, and accompanying two young people in the « soft materials » section during their journeyman circuit – their Tour de France – to enable them to gain professional experience of at least one year abroad. The J.M. 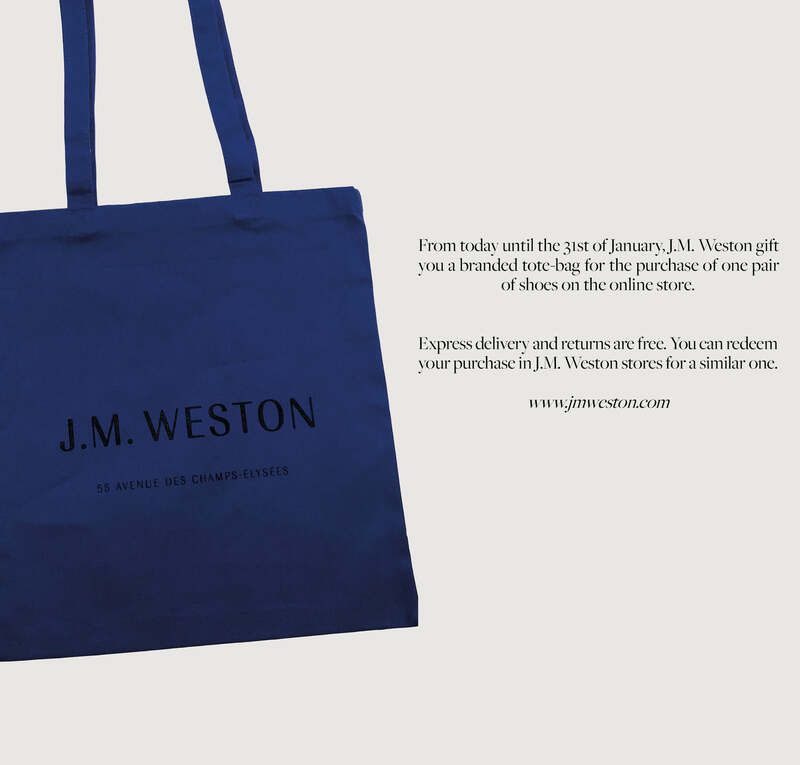 Weston Foundation opens its doors to young artisans for the 3rd year of "J.M. Weston Foundation Awards". The J.M. 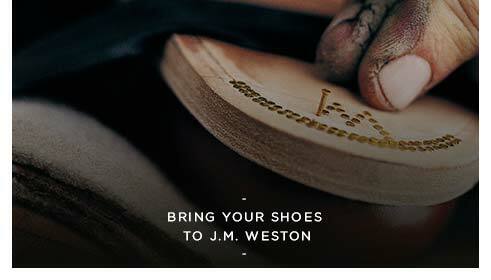 Weston Foundation carries out activities intended to support the technical training of artisans who craft leather goods and shoes. It will provide support to enable young Japanese and French craftspersons to share their different cultures and experiences to help raise the level of each other’s technical skills in partnership with the Compagnons du Devoir et du Tour de France. Support : the Foundation provides complete assistance for insurance, travel expenses, and living expenses. During the internship period, interns will try all types of shoecraft processes at the host location, creating a piece that combines all that was learned and presenting it at the end. To apply, send e-mail to foundationaward@jmweston.jp with your self presentation and let us know what makes you interested in this program. The J.M. 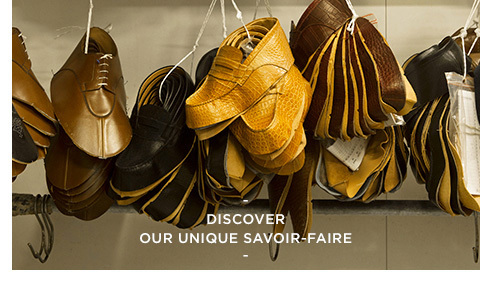 Weston Foundation supports the "Savoir-Faire et Création" program of the École Nationale Supérieure des Arts Décoratif (ENSAD). 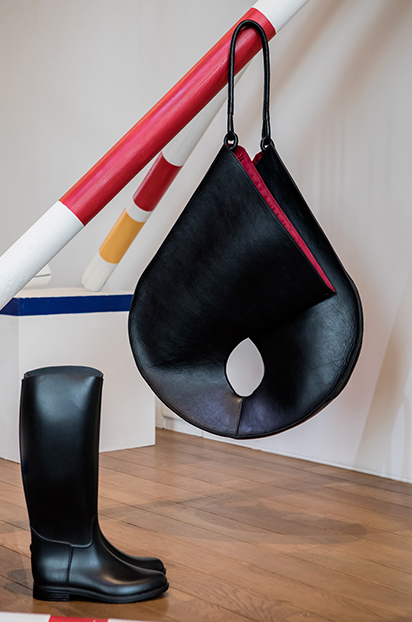 As part of this program, students from EnsAD and apprentices from “Les Compagnons du Devoir et du Tour de France (Soft Materials Department) collaborated to create aesthetic and technical work. On the equestrian theme, the projects were presented this year during the “Allures” exhibition at the Grande Écurie the Château de Versailles. Devised by the Compagnons du Devoir and supported exclusively by the Foundation, this project takes the form of a challenge (Défi) whose aim is to encourage and organize the networking of skills and dialogue between young designers, students of management schools and apprentice craftsmen-prototypists. 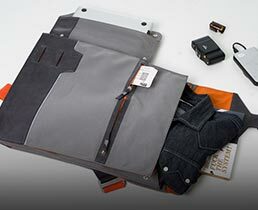 In the framework of this Challenge, a team consisting of two designers, two managers and two craftsmen-prototypists from the Compagnons du Devoir specializing in soft materials must carry through a project showcasing exceptional know-how and creativity. Each year, the participants of the “Défi Innover Ensemble” are invited to develop a project following a set theme. After several months of research and development, their work are presented to a final jury, which bestows the Excellence Award to the best project. For the challenge’s first year in 2011, twelve participants took part in the adventure. For the challenge’s first year in 2011, twelve participants took part in the adventure. 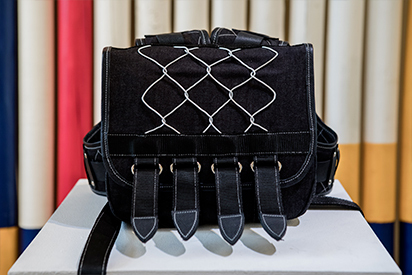 For five months, two teams, each made up of Compagnons du Devoir leather craftsmen, two designers from ENSCI and two managers from IFM, took up the challenge of creating «A bag for a man on a business trip». After deliberation on 22 July 2011, , the Excellence Award was given to both projects presented Arsène and Ricochet, in recognition of the quality of the two proposals submitted. For the second edition of the "Défi Innover Ensemble", 21 participants studied the creation of a «made in France» screen for the international hotel industry. Divided into three multidisciplinary teams, they worked together to produce the design, development and sales strategy for three proposals. On 12 July 2012, a jury of professionals and experts gave the Excellence Award bestowed by the J. M. Weston Foundation to the Triptyque project, highlighting the high quality of the work produced, the relevance of the response to market needs and the appropriateness of the solutions provided. 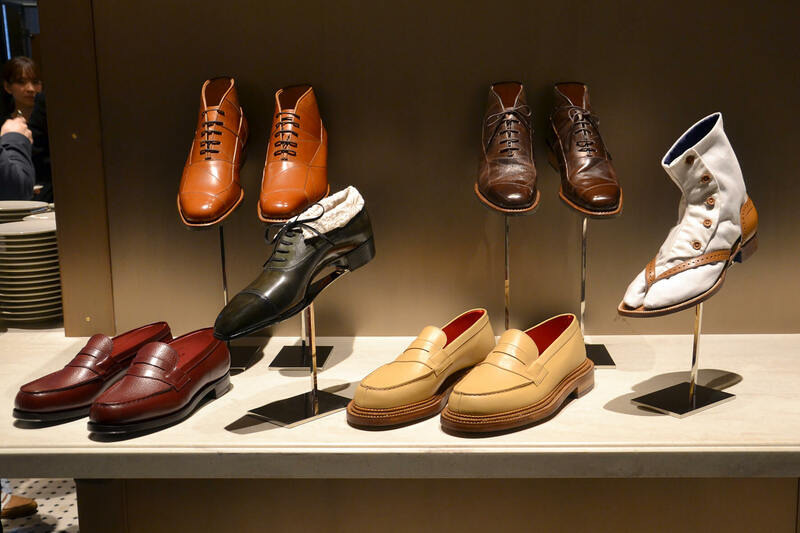 In its third year, the “Défi Innover Ensemble” innovation challenge saw three multidisciplinary teams come together to explore the theme of men’s fashion accessories, “Men’s shoes: high-end products for the sneaker generation”. On Friday 12 July 2013, following the public presentation and after deliberation, the Excellence Award 2013 was given to Odyssée Urbaine. 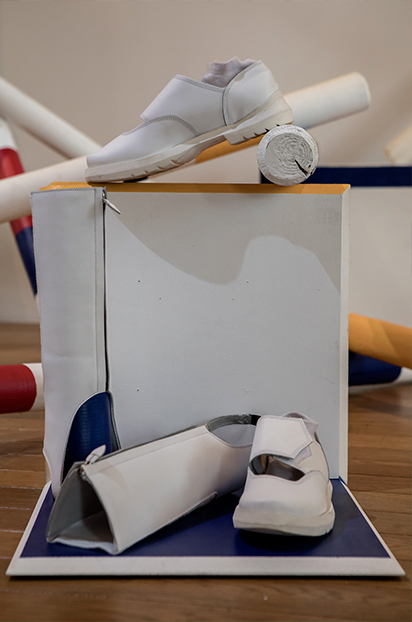 It was this project that won the panel over with its detailed analysis of market expectations, with the way in which it transferred technologies from the world of sport to boot-making, and with its products which are a crossing between a diving boot and a high-end shoe. 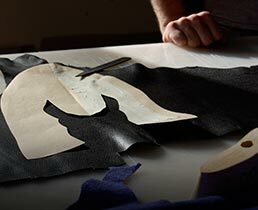 In its fourth year, the competition was organised in partnership with the Leather Technical Centre (Centre Technique du Cuir) and the Cuir à Paris leather and fur event. 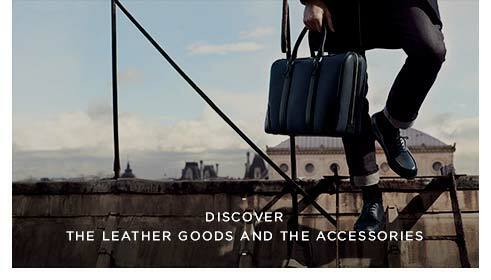 On this occasion, the spotlight was on leather, how it can be combined with other materials and new uses. 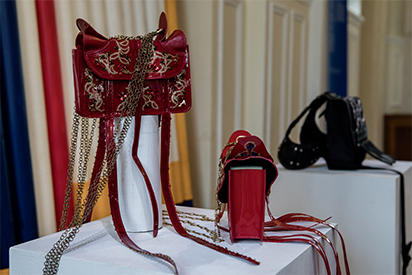 After exploring the theme for four and a half months, the three teams involved in the competition each produced a “Hybridization of Leather”. 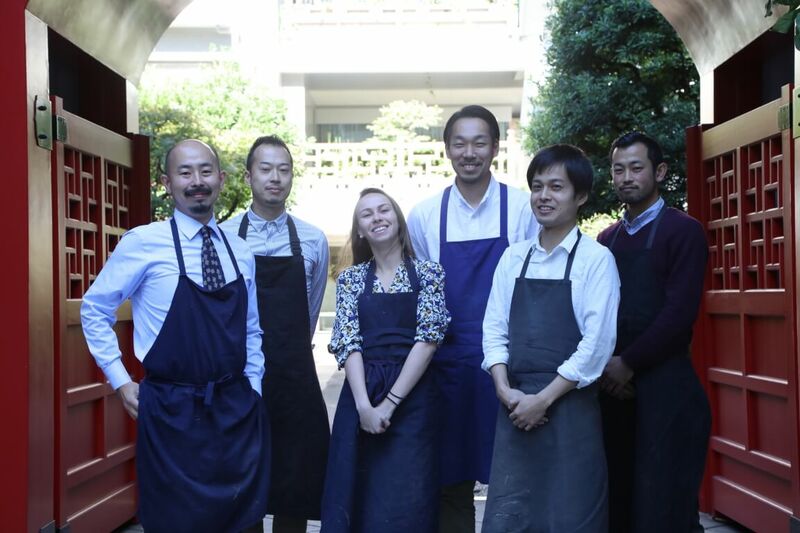 The Excellence Award 2014 was given to the team behind the Gaÿa project. This project stood out because of the comprehensive approach adopted by the team. 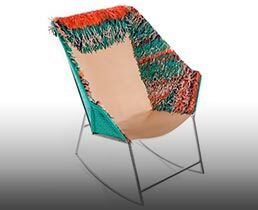 Treated in strands, mixed with multicolored textiles, the leather comes to cover a rocking chair with an exotic and luxuriant coat giving it airs of barbaric throne, and thus recalling the animal origin of the material. The 2015 edition of the "Défi Innover Ensemble" titled "Supplex Electronica" had as its theme the meeting between the know-how of soft materials and electronic technologies. In the age of connected objects, the participants are invited to integrate the technologies that already revolutionize our daily life at the heart of our fashion accessories, our furniture and our household objects. 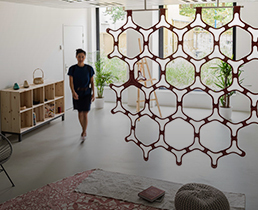 For this fifth edition, the jury of the Défi Innover Ensemble awarded the Héméra project, a modular and connected wall diffusing light and sound. 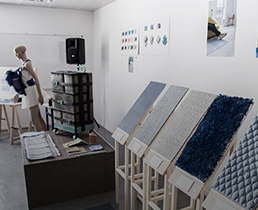 For its sixth edition, the "Défi Innover Ensemble" was devoted to ecodesign through the exploration of linen and its composites. Each product has been thought with the flax material as a starting point and know-how as a territory of experimentation. After several months of work, the Archipel project was awarded the 2016 Excellence Award. This project boldly reshapes the floor tile by highlighting linen in all its forms and taking into consideration ecological issues. For its 7th edition entitled “Peaux Neuves” (New Skins), the Défi Innover Ensemble has as its theme the technical textile. It questioned the perception, potential and use of these textiles capable of imitating the skin. 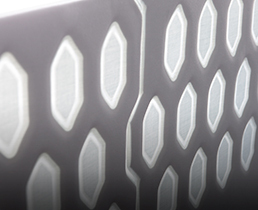 This year, the Excellence Award was given to the Variations project, a screen made of technical textiles and acoustic foams assembled and thermo-compressed with high frequency welding. The jury particularly appreciated the balance between the ingenious use of the technique, the control of the aesthetic codes, the ergonomics and the quality of realization of the prototype.